You are here: Home / All blog posts / Start over? Aligning the warps. Notice how the white marking-lines line up, both across each warp and between the two warps. this was tricky! See the loose threads? I think those are going to be a nightmare to weave. As a result, I’m seriously considering discarding these two warps and starting over. This fills me with the amount of enthusiasm you’d expect (none whatsoever) – but I’m balancing the loss of warp-winding and dyeing time against the struggle to weave a poorly-tensioned warp in fine threads. 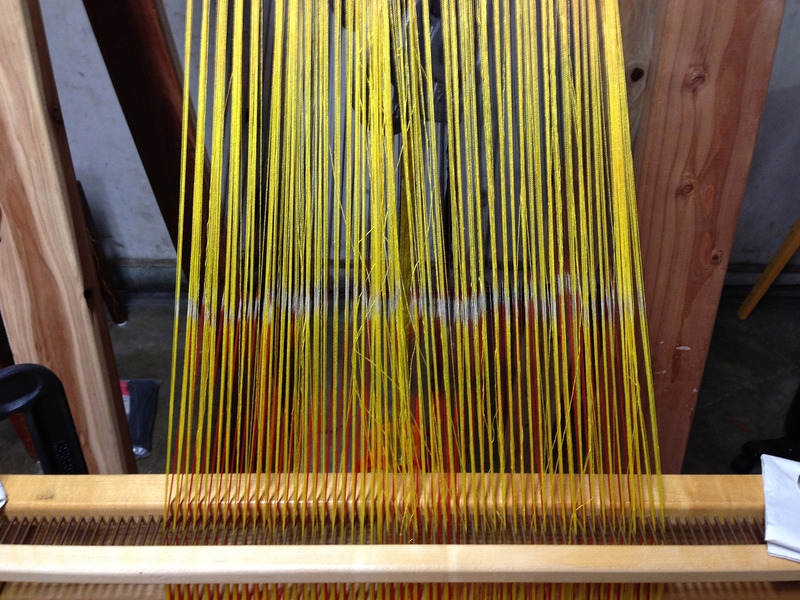 If I were dealing with a few loose threads in 10/2 cotton, it wouldn’t be a big deal; in a 12″ section there would only be about 400 threads, and I could identify and fix the loose ones easily. However, we’re not talking 10/2 cotton: we’re talking 60/2 silk, nearly 500 fine threads that will break if a shuttle smacks into them. 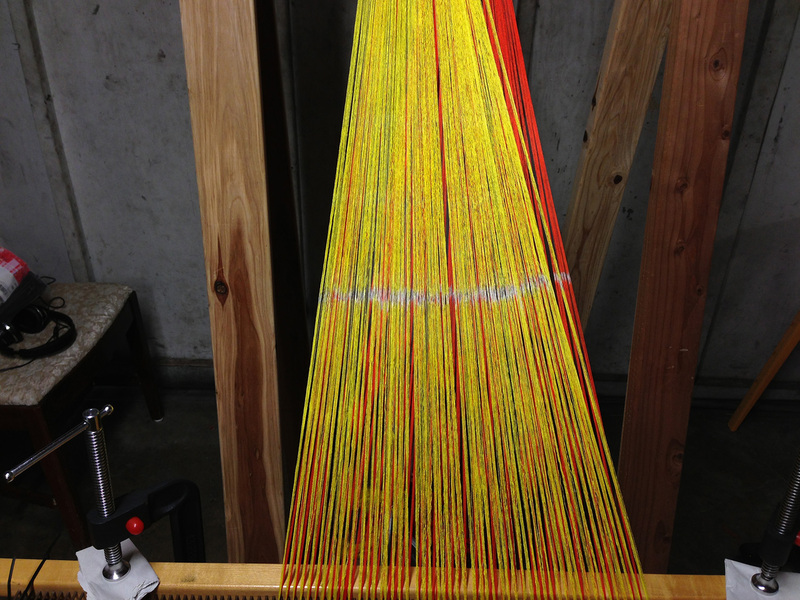 We’re also talking a 10-yard warp, which will take weeks to weave off. So, given the choice, would I rather start over again, wasting about 15-20 hours of winding, dyeing, and beaming, or struggle on with ten yards of poorly tensioned fine threads? Yeah. I don’t like it either, but I think aÂ new set of warps may be the wiser course. Definitely under the weather today, though, and other obligations call, so I may not start again until January. Yes, definitely pitch that warp. It will make you feel so-o-o much better. Sometimes it is hard to let go! Is there anyway you could comb out and re-tension the bad spot?Â I realize your carefully lined-up dye breaks would get messed up, but you’d still have enough warp to see if your ideas work.